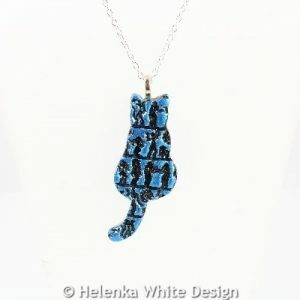 Artisan Jewellery And Sculptures - Not Just For Cat Lovers. Made in Wales. Faux dichroic round pendants in various colours. 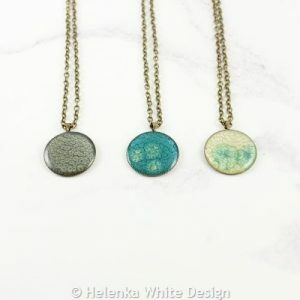 These pretty faux dichroic round pendants have been handcrafted with polymer clay in black, translucent and silver and are available in various colour combinations. These cute round painted pendants have been handcrafted using special effect paints in red/green and eggshell/ onyx and resin. 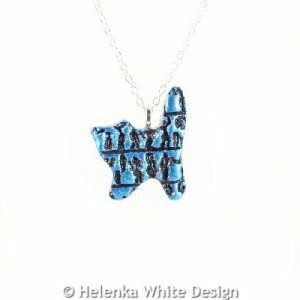 Hieroglyph sitting cat pendants in blue, blue & red, blue & silver, blue & gold, gold & red, red & silver. 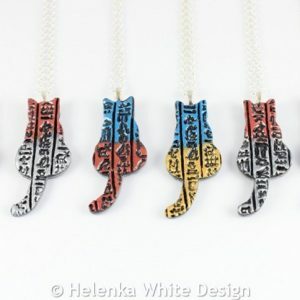 These cute hieroglyph sitting cat pendants are handcrafted with polymer clay in black and silver and are part of my Egyptian collection. They are available in various colours and hang on silver plated chains. 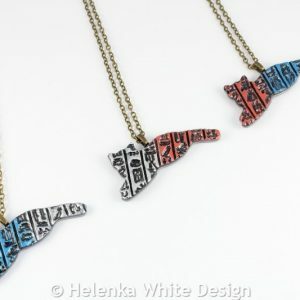 Hieroglyph lying cat pendants in red & blue, silver & red, blue & silver, red & gold. These cute hieroglyph lying cat pendants are handcrafted with polymer clay in black and silver and are part of my Egyptian collection. They are available in four colour variations. 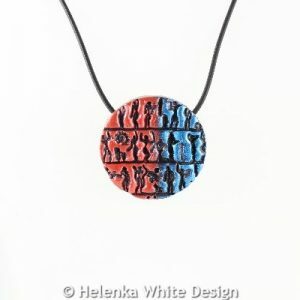 Hieroglyph standing cat pendants in red, blue, blue & silver, red & silver. These cute hieroglyph standing cat pendants are handcrafted with polymer clay in black and silver and are part of my Egyptian collection. They are attached to silver plated chains which close with silver plated lobster clasps. These cute little people sitting cat pendants are handcrafted with polymer clay using a texture plate and painted with blue, red and silver paste. These cute little people standing cat pendants are handcrafted with polymer clay using a texture plate. 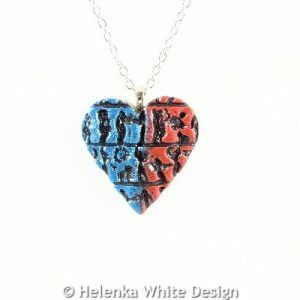 These cute little people heart pendants are handcrafted with polymer clay using a texture plate. These cute, round little people pendants are handcrafted with polymer clay using a texture plate and painted with paste. 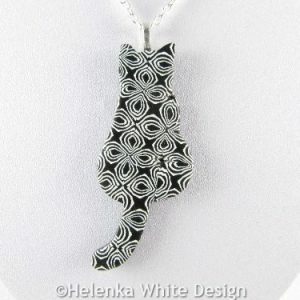 Sitting cat pendant in black – handcrafted with polymer clay in black and white. The pendant hangs on a silver plated chain and closes with a silver plated lobster clasp. 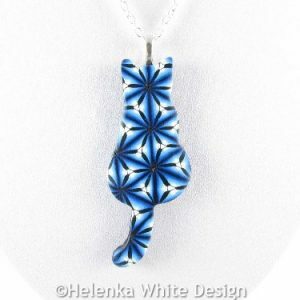 Sitting cat pendant in blue – handcrafted with polymer clay in blue, black and white. The pendant hangs on a silver plated chain which closes with a silver plated lobster clasp. How to care for your jewellery.